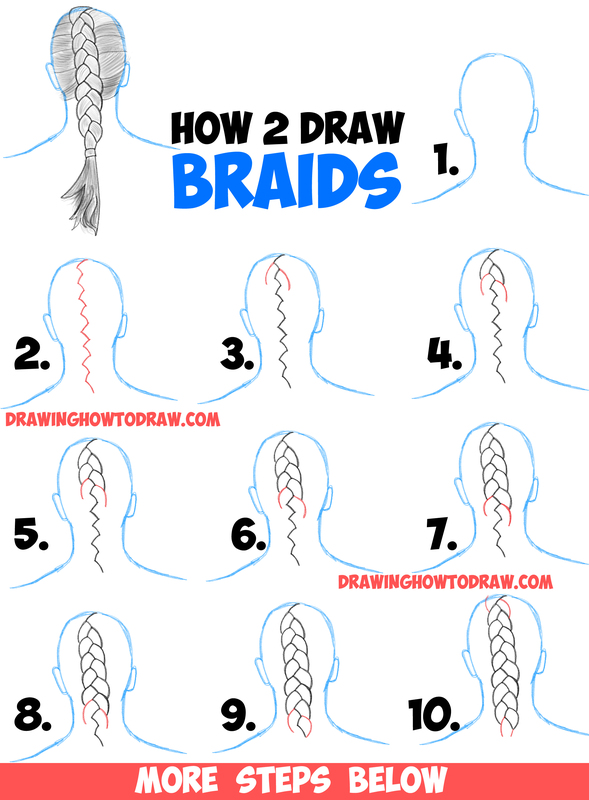 Today I will show you how to draw braids in the easiest way possible…with basic shapes and letters to guide you. 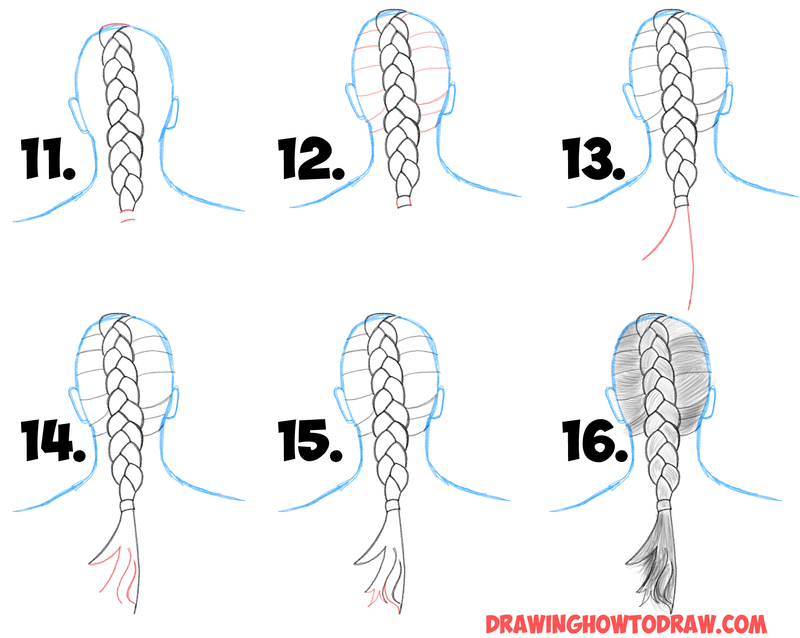 This is an easy step by step braid drawing lesson – happy drawing! (Step 1) just draw a basic head shape – it doesn’t need to be perfect … we are just focusing on the braid today. (Step 2) Draw a zig-zag shape down the back of the head. (Steps 3-10) Draw curved lines on either side of the zig-zags. (Step 11) Draw a curved line at the top of the head and 2 at the bottom. (Step 12) Draw curved lines all along the head – on either side of the braid. (Step 13) Draw 2 curved lines at the bottom of the braid. (Step 14) Draw a #7 shape and two backwards, flattened letter ‘S’ shapes. (Step 15) Draw a letter ‘M’-like shape and another flattened letter ‘S’ shape. (Step 16) Draw lines all thru the braid. This was a really useful of Howe to draw a Dutch plait. I have produced a very good drawing from it. It would definitely recommend to use the step by step. They are very clear marked with red from each step.